Liverpool's bid for the title collapsed in recent weeks as a five-game winless run saw them drop to fifth. Liverpool can learn a thing or two from Chelsea such as the Premier League leaders’ ability to grind out results even when they are not playing at their best, midfielder Adam Lallana has said. Liverpool’s bid for the title has collapsed in recent weeks as a five-game winless run in the league has seen them drop to fifth, 13 points behind Chelsea. “You can see they (Chelsea) have a lot of experience and that they are used to winning. They know how to win games even when not at their best. 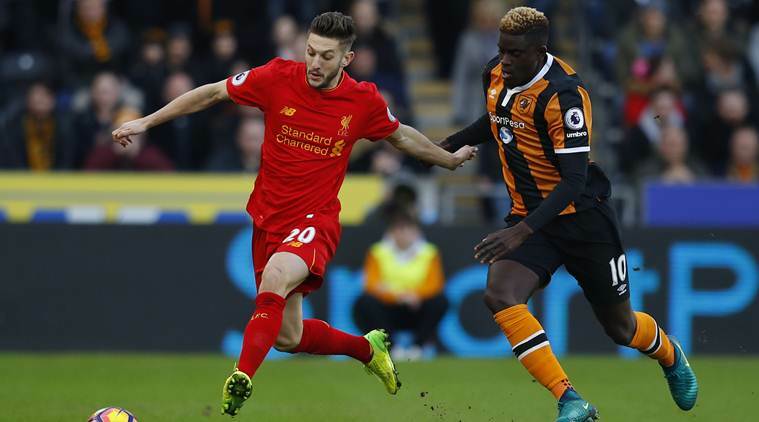 You don’t have to always win by scoring five or six,” Lallana told British media. In contrast, Chelsea appear to be running away with the league title as they hold a comfortable nine-point cushion over the chasing pack after 24 games. “Milly (James Milner) is probably the only one in our group who has that type of experience because it only comes from winning silverware like he did at Manchester City,” Lallana added. Liverpool host second-placed Tottenham Hotspur, who are unbeaten in their last nine league games, at Anfield on Saturday.